In between the leaf-peeping and apple-picking, fall is a time to get back to business and look good doing it. What better way than with products designed to help you prep and polish skin, body, and hair? This batch of samples will help you become your most gorgeous self from start to finish. Get your pout ready for fall’s statement lip colors with an all-natural lip serum. 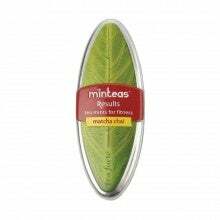 Perfect your complexion with a detoxifying face mask. There’s a game-changing mascara that gives lashes a glossy look, plus a smoothing hair treatment. Oh, and don’t forget the mints — you want your breath to be as sweet as your look. Go online to learn more about your samples and how to get the most out of them. In the spirit of final flourishes, we also have video tutorials on three of our favorite last touches: learn how to apply false lashes, wear fall’s chicest hats, and apply modern liquid liner. You’ll also find an interview with Teen Vogue editor — and Tumblr goddess — Eva Chen, skin-clearing tips, and more. 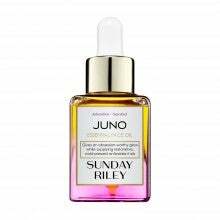 Sunday Riley Juno Antioxidant + Superfood Face Oil - 1 oz.